Just because you’re moving out of your beloved bedroom, doesn’t mean your new home can’t feel just that– homey! But there are so many ways to decorate your new room, where do you even begin? 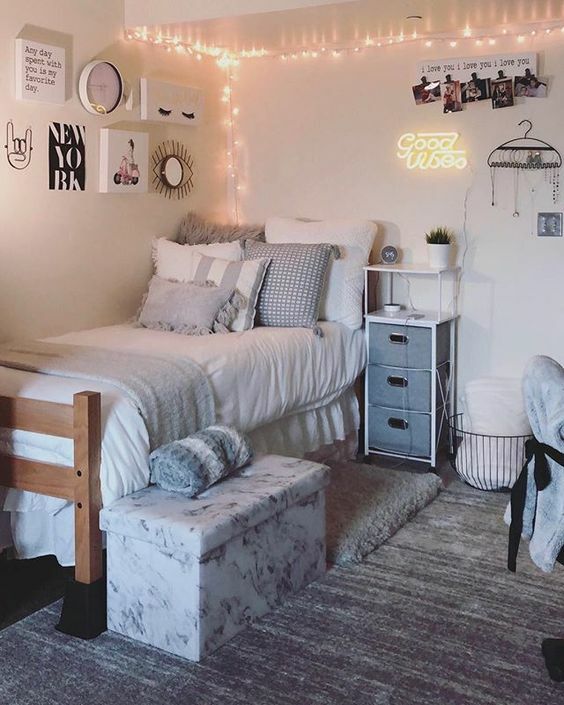 Well, lucky for you, we have all the dorm decor ideas you’ll need! So, what are you waiting for? Don’t you want to know how to make that new dorm room yours? Keep reading for all the essentials. Moving out means making sure you have everything you need to live without your parents! Looking to make your new room into a reflection of you and your amazing personality? Here is a great list we put together to get your dorm decor shopping started. If you walk into your new room and took one look around, the first thing you notice is the bland and boring feeling. That’s because of those white walls. But don’t worry! There are easy ways to fix the dorm room without pulling out the paint, hammer, or nails (especially since most dorms will not allow these kinds of renovations)! Decorate your walls and add some of your personality by putting up pictures from home, posters of your favorite bands, or even of art pieces you’ve done! Not only will they transform the bleak white walls, but they can be great conversation starters as you get to know your new roommate(s)! Items like washi tape are great for dorm decor, especially since they are not likely to damage anything it is put on. The key thing to remember when decorating your dorm walls is that they are not yours. You will sign a contract that details everything you can and cannot do/use in your room. Typically, the contract will say that putting holes in the walls is a no-no. This means you’ll need to find another way to put up your pictures. Sticky tack is a great alternative to the old fashioned hammer and nails. It will hold up your pictures/art. When it comes time to take everything down, it won’t damage the wall! 2. Duvet Cover or Comforter? Make your choice — duvet cover or a comforter. What is the difference, you ask? We have a detailed answer written just for that very question! And once you finish learning to distinguish between the two, you can move on to choosing your bedding! This is typically what your dorm decor will center around. Looking to have a rainbow of colors throughout your new room? Or maybe you are looking for something more sleek and modern. Whatever your style may be, there are bedsheets to match! Now, time for your bed. There a few different ways you can utilize the space you’re given while also creating a great look that you can live with. Try lofting your bed. This will maximize your space allowing you to put your desk or dressers beneath the bed while keeping everything functional! Looking for even more floor space? Ask you roommate to bunk the beds! This can be tedious, but it will give you more room overall. If neither of the other options seems appealing, trying using lifts to make the most of the space you’re given. By lifting your bed you are able to put more underneath, giving your room less of a claustrophobic feel and more of a welcoming one! There are even lifts with plugs in them. Be sure you get professionals to help you with any changes to your bed. The last thing you want is to injure yourself, others, or to break your new bed! Pillows are a great way to add some extra character to your dorm decor! Utilize the different styles, designs, and colors that are available to make the most of your room! Utensils, pans, pots, ice cube trays…the list never ends! Don’t worry, we’ll get you through this. Does your dorm even have a kitchen that you can use? Many college dorms will have a refrigerator (or mini fridge) and a microwave. However, some school don’t allow microwaves inside individual rooms. So, make sure you aren’t buying anything you won’t need (like pots and pans). It’s more than likely that, especially for incoming freshmen, the college/university will require you to pay for a meal plan. These come in different sizes to help avoid wasting money, so choose the one that is best for you. The plus side? Utensils and other kitchenware come in some awesome designs that will have you bragging to your friends… and matching with your dorm decor! Don’t forget the dish soap — you do not want to leave those dirty dishes lying around! 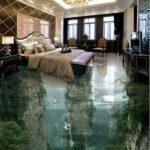 More often than not, the floor will be a “carpet” that offers zero noise reduction or decor appeal. Adding a rug gives your room a homey feel, cushions the floor a bit more (your neighbors below will thank you), and adds more personality to the room! Laundry bags/baskets. They are a necessity, as is doing laundry. But, just because you are forced to do this torturous chore, does not mean that you have to give up your personality/style while doing it! Want some DIY style to lighten up the chore of doing laundry? Here is a bag that is right up your alley! Add some lighting to your room and create the exact ambiance you are looking for. These lanterns are a great way to utilize creativity, while still instilling personality your awesome dorm decor! Plus, they are simple to make and even better looking for a warm, homey feel. These lights, typically used for Christmas decorations, are a great way to spice up your room. You can string them across the top of your wall to create an enchanting scene. 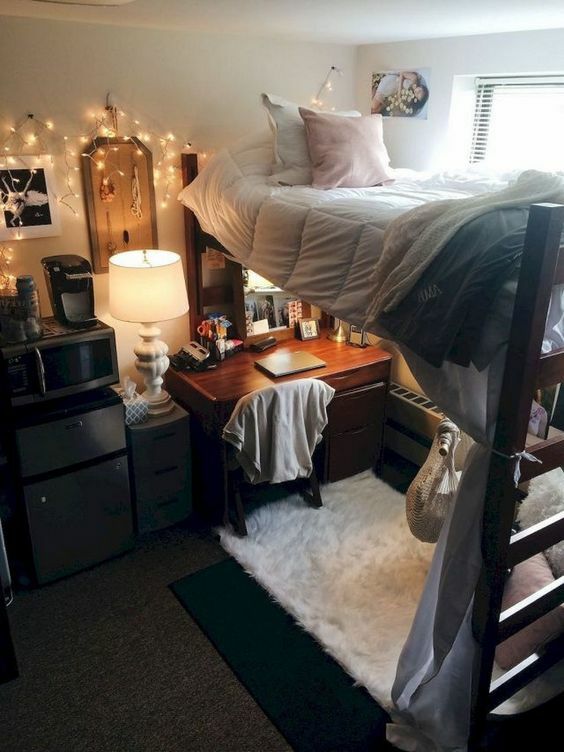 Alright, so candles are definitely a no-go for college dorms (fire-hazards.) However, you can still bask in the sweet soothing scents that candle wax offers! Get a wax heater to create the soothing and nice smelling environment you want. Then, get some fake candles (those ones that are run by battery) and pretend you’re on a vacation. Of course, check with your roommate(s) before starting — some people are allergic to certain scents. No matter what, be careful to not hang any lights on the sprinklers. Your neighbors (and the rest of the building) will not appreciate being soaked because you wanted some extra decoration. Speaking of lighting, window curtains are a great way to decorate your room while also blocking out any unwanted sun/heat! 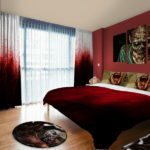 Plus, there are some great window curtain designs available. Just browse a few and you’ll see what we mean! But make sure you hang the curtains using Command hooks or something equivalent. The dorm manager will not be happy if they see you have put holes in the walls! Although mentioned before, pictures are a great thing to have. Small reminders of home can help whenever you’re feeling homesick– which is bound to happen at least once (especially if you’re going far). 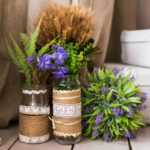 Plus, they are great for adding a personal touch to your room! Towels are a necessity for dorm life, but they can also contribute to your dorm decor! Try stacking different sized and different colored towels. This can bring your style and roommate(s) style together allowing for a flawlessly designed room that is perfect for both of you! Are you super skilled in the art origami? Awesome! Use your skills to fold your towels that are not being used to help decorate your bathroom! Here is a great guide to give you some ideas! Whatever your dorm decor ideas may be, your towels can surely be incorporated! Buying bathroom essentials are a given (shampoo, conditioner, body wash…), but will you be needing a shower curtain? Shower curtains are often overlooked. However, they are another way for you to claim your new room as being truly yours. Any bathroom that is shared amongst roommates will need a shower curtain, as well as rings for the shower curtain to hang on. Make sure you include both on your shopping list! But, if your dorm has a communal bathroom– which is fairly common (especially for freshmen), you will only need to worry about the essentials. Having your own bathroom means getting to organize it how you want (well you and your roommate/s). Get a toothbrush holder, a bathmat, stylish towels, anything and everything to make your bathroom feel like just that — yours! Your desk. Another place where your dorm decor will come in handy. Make sure you stay organized. Buying folder holders can be a great way to keep yourself organized while also staying on top of your schedule. If you have an alternating schedule, buy two organizers and separate your supplies by day. That way, you won’t forget anything you need when it’s time to leave for class! The great thing about supplies is that they come in all kinds of designs. An agenda, for example, is not only a lifesaver in college but also a great way to show off your personality. Are you more into colorful polka dots, intricate details, or are you simply looking to stay organized? Good news! they have something for all three (and much more)! Make sure you stock up on the pens, pencils, and paper too. This is school after all (no matter how much you’d like to forget it). In a teeny tiny room that you’ll be sharing, storage is going to be your new best friend. Bed lifts are great for giving you extra space underneath your bed, rolling carts and drawers are just great in general. The extra storage will be a life saver. Plus, many drawers and rolling carts come in fashionable/trendy styles. This means they’ll be great for your dorm decor! It’s a good idea to get a safe for things that you wouldn’t want others to get their hands on, roommate or otherwise. Remember, in the beginning, you won’t know your roommate. And, even though you will most likely become BFFs, you don’t want to feel uncomfortable leaving your room because you don’t quite trust your roommate yet. 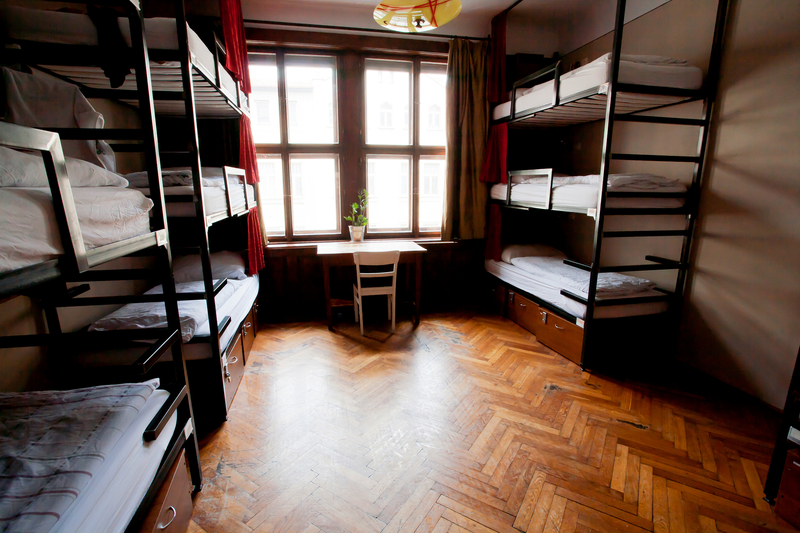 Plus, the room will be shared between you and your roommate(s), meaning they can bring people you don’t know over. And, things like your passport should be kept in a safe place. Keep your things safe without ruining your stylish dorm decor by decorating the safe with things like washi tape! Using washi tape, you can take an ordinary looking safe and turn it into your masterpiece. Have a talk with your new roommate(s) before moving in. 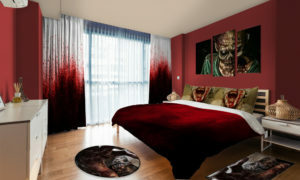 This allows you to rest at ease knowing your roommate(s) are nothing like the horror film. Plus, conversing with your roommate(s) prevents you both from buying things you only need one of (like a shower curtain or a toilet brush), while also allowing you to sync up and talk about your dorm decor ideas. 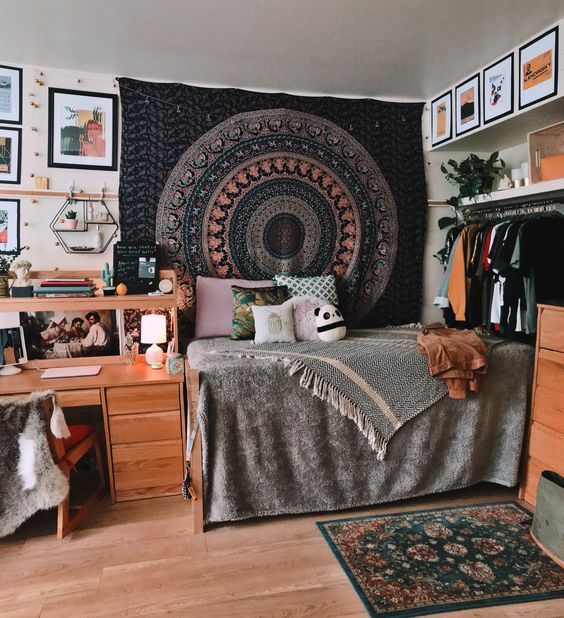 Perhaps there is an idea you hadn’t thought of, or maybe you’ll need to adjust your dorm decor thoughts to make your room match a bit more seamlessly. Either way, talking before moving in together will help both (or all) of your minds about the next year to come! So, what do you think? What’s your favorite idea? Are there other dorm decor ideas that you want to share? Let us know in the comments below! Have more questions? That’s why we’re here. Shoot us a message and we will gladly help you sort out any questions or concerns you may have– whether they relate to college dorm decor or not! 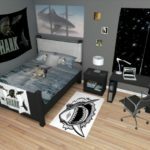 Looking for a great way to decorate a boy’s dorm room? Read more here!